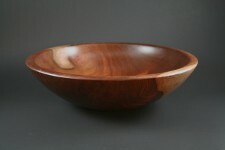 I primarily turn local native hardwoods, such as cherry, maple, birch, and oak. 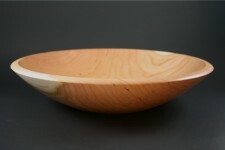 Many of my bowls are "green turned" meaning the wood was not completely dry when it was turned. 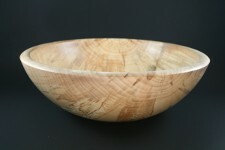 This causes a bowl to take on a slight warp after it is finished. 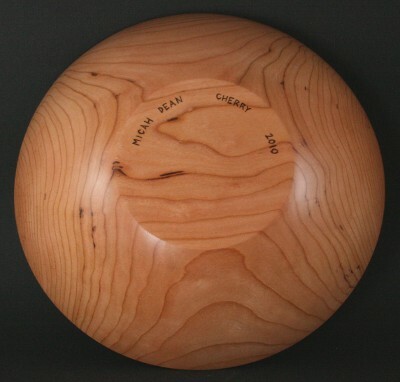 Each bowl has my name, the kind of tree, and the year it was made burned into the bottom. 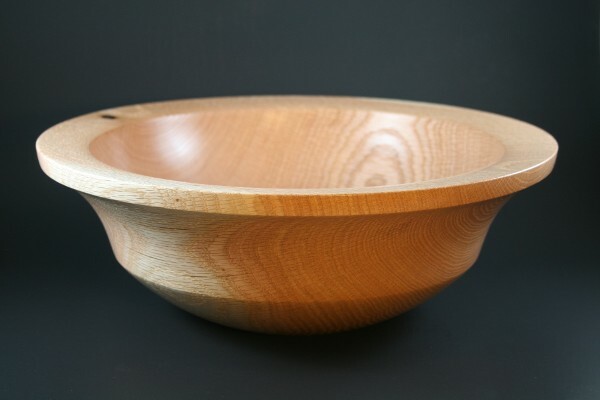 Please click on any image to see a larger photo of that bowl.